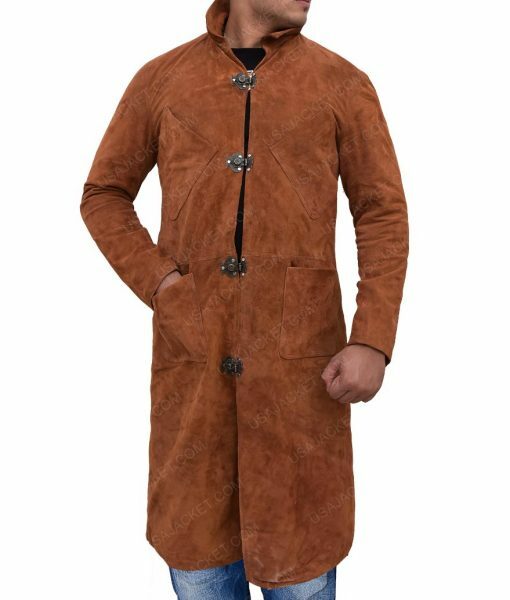 We are presenting you the warm and comfortable Robin Hood Little John Trench Coat. 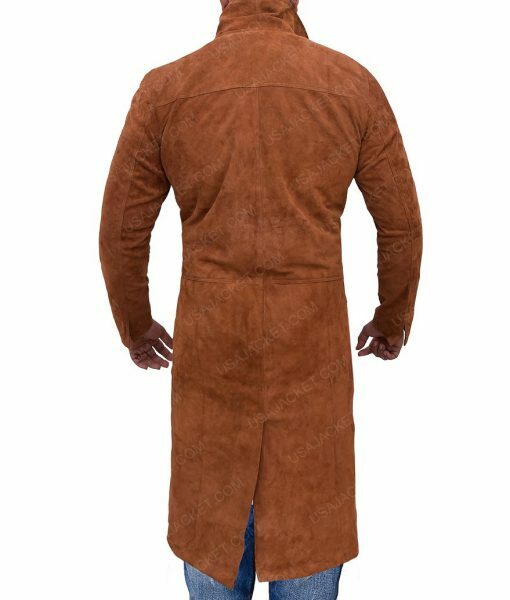 This soft coat is influenced by the movie Robin Hood worn by the actor Jamie Foxx. This admiring coat is stylish and soft which provides you with the elegant texture and keep you cozy for all the time. Suede leather is used in the making of this attire along with viscose lining that is stitched inside will keep you easy all over the day. 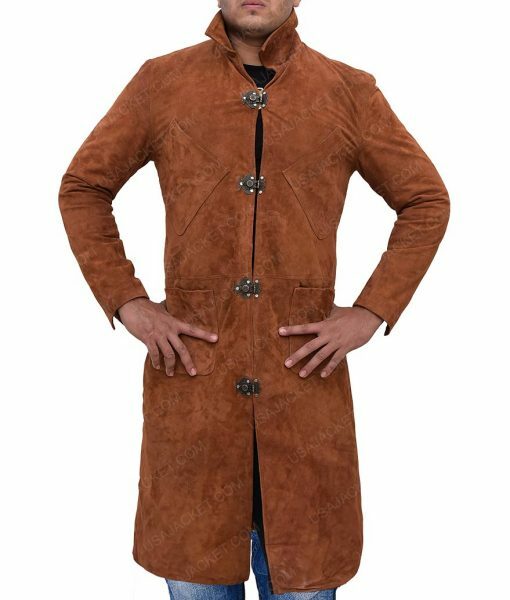 The coat includes full sleeves with open hem cuffs and shirt style collar with fur provide you the stylish look among all. 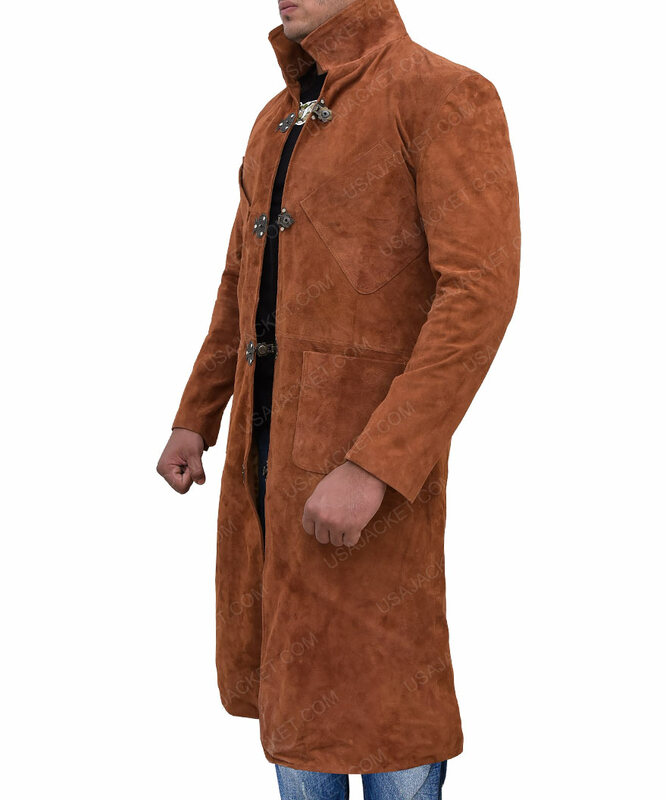 The Robin Hood Little John Trench Coat front is prepared by the metal button closure, it has two front pockets available in brown color for your suitability.